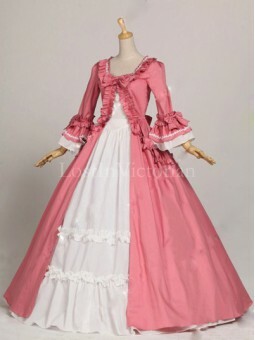 Fabric: CottonShown Color: Pink & WhiteIncludes: DressThe hoop skirt (worn under the dress) is r.. 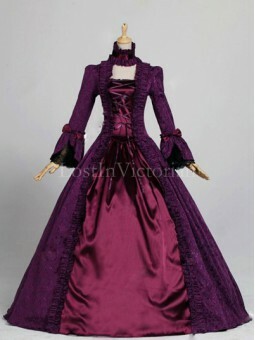 Fabric: Brocade, SatinShown Color: PurpleIncludes: DressThe hoop skirt (worn under the dress) is rec.. 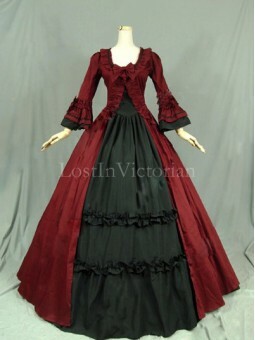 Fabric: Satin, LaceShown Color: BrownIncludes: Overskirt Bodice, UnderskirtThe hoop skirt (worn unde.. 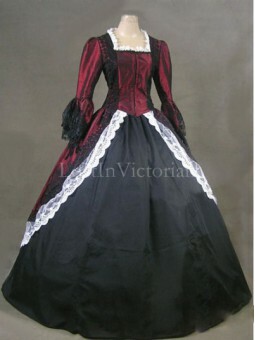 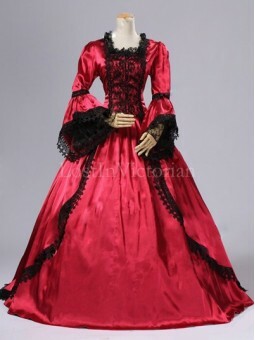 Fabric: Satin, LaceShown Color: BurgundyIncludes: Overskirt Bodice, UnderskirtThe hoop skirt (worn u.. 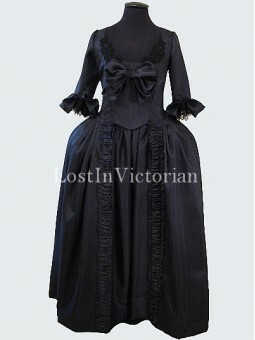 Fabric: Satin, LaceShown Color: TealIncludes: Overskirt Bodice, UnderskirtThe hoop skirt (worn under.. 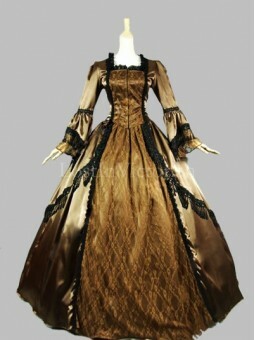 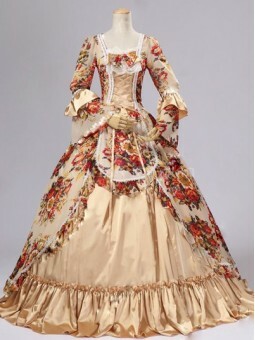 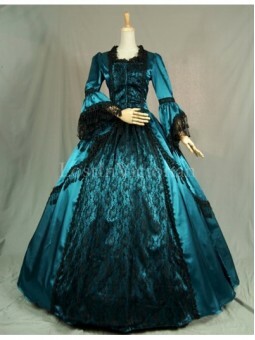 Fabric: Brocade, SatinShown Color: ChampagneIncludes: DressThe hoop skirt (worn under the dress) is .. 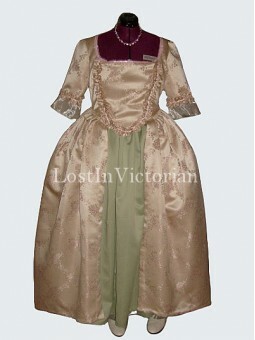 Fabric: SilkShown Color: Pale Pink and Pale Green Includes: Overskirt Bodice, UnderskirtThe crinoli..